When we launched our “Going Off Grid” series last year on NextBillion, we were optimistic about the future of off-grid energy investment. At that time, the IFC-World Bank’s Lighting Africa Program predicted that Africa will become the world’s largest market for clean off-grid lamps, with up to 140 million people having access to better lighting by 2015. The market for quality off-grid lighting products in Africa has seen a 300 percent growth in sales since 2009. And although we have another five or so months to go before we close 2015, our optimism about the future of off-grid energy generation and distribution, as well as consumer products, has only grown. New energy investments continue to pop on what seems like a daily basis. There are major multinational companies like Google, which is hoping to take a stake in the Lake Turkana Wind Power Project, a $700 million, 40,000-acre project in Kenya that would boost the country’s energy resources by 20 percent. And then there are smaller players like Greenlight Planet, which recently attracted $10 million in financing to provide solar lighting products to an estimated 100 million homes of base of the pyramid customers. 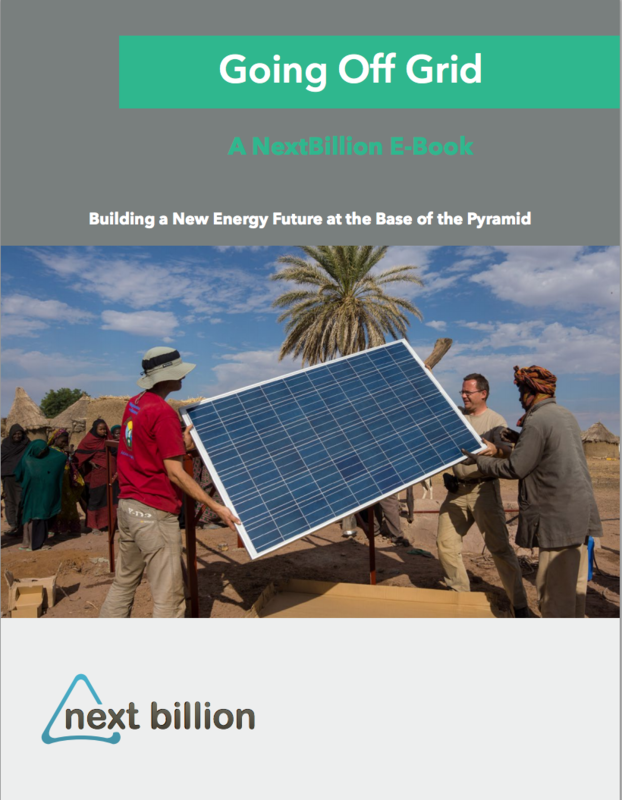 The “Going Off Grid” series, which we are proud to present to you here in e-book form, explored new technologies, new business models and new forms of investing and participation in the developing market of energy infrastructure. In many countries, the once inflexible electrical grid is being reshaped and retooled in a creatively destructive process that offers access and returns on investment with less risk. There are fewer questions about the chicken (demand, last mile delivery, affordability) versus the egg (supply, technology, lack of capital) in this series. Instead, we’re seeing much more in the way of business solutions and new pathways for investment. At the same time, as explained in one of the series’ articles by Susie Wheeldon, the International Energy Authority estimates $640 billion of investment over the next 20 years is what’s needed to bring sustainable off-grid energy to all who are left off the grid. This represents a 300 to 500 percent increase on the current investment. In other words, there’s a lot of work to be done, but there’s plenty of market demand in which to do it. As with all e-book collections of this nature, we know our relatively short series captures just a flicker of what’s happening across the developing world. Yet, we hope the stories and insights of investors, entrepreneurs and NGOs will help illuminate a new, cleaner and more accessible way forward. Our two other e-books on Impact Investing Insights and Market Dynamics in health care can be found here and here, respectively. Or read it in the ISSU application here.